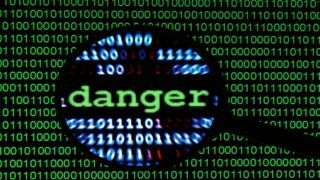 According to a Dell global security survey, the majority of UK IT leaders around the world are ignoring powerful threats to their companies, despite almost three quarters experiencing a security breach in the last 12 months. Dell surveyed 1,440 IT decision makers in organisations with 500 or more employers, with 200 of the respondents coming from the UK. Both public and private sectors were interviewed with a specific focus on retail, financial and public services and education. Nearly 90 per cent of all respondents believe that the Government should be involved in determining their organisation's cyber defence strategies. The UK however, ranked the second highest for countries that would prefer the government to have 'no role at all'. BYOD, the cloud and the Internet were the top areas of concern for businesses. BYOD policies were reported as being used in 88 per cent of UK companies, with 37 per cent using those devices to access their work network. 16 per cent in the UK said that mobile devices and BYOD were the root cause of their security breaches. The cloud and the Internet account for a much higher 64 per cent of security breaches in the UK, but only 47 per cent of respondents marked either out as a cause for concern in the next few years. "There is still a disturbing lack of understanding and awareness of the type of impact and detriment caused by the unknown threats that can come from both sides of an organization's perimeter," said Matt Medeiros, vice president and general manager of Dell Security Products. "As a result, we believe a new security approach is needed ─one that's embedded in the fabric of software, governing access to every application and protecting every device, both inside and outside a corporate network."